We explore the pharmacogenomics of the beta-blocker bucindolol by discussing relevant beta-1 adrenergic receptor (ADRB1) polymorphisms and recent beta-blocker studies. Through this, we will understand how bucindolol may help patients with atrial fibrillation and heart failure with reduced ejection fraction (AF-HFrEF), which carries poor prognosis. 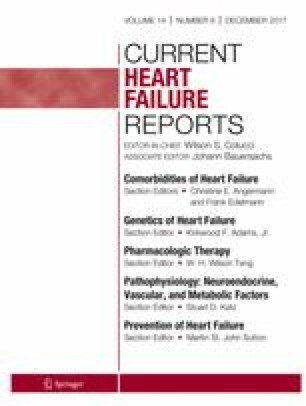 Retrospective study of the Heart Failure: A Controlled Trial Investigating Outcomes of Exercise Training trial revealed the interaction between the optimal beta-blocker dose and the ADRB1 Arg389 genotype for HFrEF clinical outcomes. Further, a combinatorial genotype analysis in the Beta-Blocker Evaluation of Survival Trial showed that the Arg389Arg genotype, but not the Gly carrier, was associated with 40% lower mortality risk with bucindolol. Finally, the AF-HFrEF subgroup with the ADRB1 Arg389Arg genotype had greater heart rate reduction and suggestion for mortality benefit. Therapeutic response to beta-blockers varies by beta-blocker mechanism, ADRB1 Arg389 genotype, and clinical setting (AF, HFrEF, AF-HFrEF). The ongoing trial A Genotype-Directed Comparative Effectiveness Trial of Bucindolol and Toprol-XL for Prevention of Symptomatic Atrial Fibrillation/Atrial Flutter in Patients with Heart Failure prospectively identifies AF-HFrEF patients with favorable genotype for bucindolol to prevent AF recurrence. Kishan S. Parikh declares no conflict of interest. Jonathan P. Piccini has received grants from ARCA Biopharma and Johnson & Johnson, Boston Scientific, ResMed, Gilead, St Jude Medical, and Spectranetics. Dr. Piccini is also a consultant for Amgen, Spectranetics, Medtronic, Allergan, and Janssen Pharmaceuticals. Cadrin-Tourigny J, Shohoudi A, Roy D et al. Decreased mortality with beta-blockers in patients with heart failure and coexisting atrial fibrillation: an AF-CHF substudy. JACC Heart Fail, 2017;5(2):99–106. https://doi.org/10.1016/j.jchf.2016.10.015. Piccini JP, Allen LA. Heart failure complicated by atrial fibrillation: don’t bury the beta-blockers just yet. JACC Heart Fail, 2017;5(2):107-109. https://doi.org/10.1016/j.jchf.2016.12.003.